The cosmetic surgery which is carried out for treating the excess skin and excess fat deposits around the eyes is known as Blepharoplasty. Blepharoplasty is mainly done for cosmetic reasons but in some cases this surgery may be carried out for improving the function of the eyes by removing the excess overhanging eyelid skin. In some cases, Blepharoplasty may also involve excision of excessive muscle also from the upper or the lower eyelid. By removing the excess of eyelid skin and the puffy eye bags, Blepharoplasty can make a person look much younger and fresh. This surgery, therefore, is performed for aesthetic and reconstructive purposes. One important thing to note here is this surgery does not treat any fine lines or wrinkles or sagging eyebrows. In many cases, Blepharoplasty may be performed along with some other cosmetic surgery such as a brow lift for optimized cosmetic result. The main goal of the surgery is rejuvenation of the eyelids so that years are taken off the appearance of the patient. What are conditions in which Blepharoplasty may be required? While treating the upper eyelids, Blepharoplasty may be performed not only for cosmetic issues but functional disruptions as well. If any of the functions of the upper eyelids is hampered a Blepharoplasty may be performed. While treating the lower eyelids, this surgery is performed exclusively for achieving cosmetic improvements in the patients. Blepharoplasty improves the condition of the ‘raisin’ skin under the eyes by removing the puffy eye bags. Blepharoplasty is performed on a patient for curing a condition known as Blepharochalasis in which the functionally dormant loose skin drops down from the upper eyelids. A condition known as dermatochalasis, in which the eyelids have, excess skin is also treated by Blepharoplasty. In dermatochalasis in addition to excessive skin, there is an excess of fat and connective tissues also. This condition is mostly caused due to ageing. Though, in some cases dermatochalasis may also be caused by conditions such as thyroid eye disease and trauma. Blepharoplasty is also considered to be very effective for a condition known as Epiblepheron which is a congenital condition. In such cases, there is a horizontal fold across the eyelid which pushes the eyelashes on the eyes causing irritation and increased sensitivity. Blepharoplasty may also become medically necessary in cases where brow ptosis has been performed. Quite often, a medically necessary Blepharoplasty also involves a Canthoplasty for optimal functional restoration. Before the surgery is performed, the patient is given a pre-operative consultation by the surgeon, which is aimed at openly communicating about various concerns and expectations of both the surgeon and the patient. With the help of this consultation, the surgeon gets to understand the reasons for which the patient wants a Blepharoplasty surgery. In this consultation, the patient should also tell the doctor about any allergies or any previous medical history including any other cosmetic surgery in the past. The consultation is followed by a comprehensive physical examination of the condition of the patient. The surgeon will check for the amount of excessive skin present on the upper and lower eyelids, physical condition of the skin around the eyes, amount of excessive fat and connective tissues. In some cases, margin reflex distance and palpebral fissure width is also measure to check for presence of ptosis. The condition of the eyebrows is also evaluated for any signs of brow ptosis. The patient will also have to undergo visual field testing for reaffirming the need of a surgery. The visual field testing is done by checking the superior visual field. If the problem in the visual field is mild ranging to moderate it does not require any surgical intervention. An upper eyelid Blepharoplasty may involve only the excision of the extra skin or may involve partial excision of fat along with skin removal. In a lower eyelid Blepharoplasty, the main objective is to rejuvenate the appearance of the eyes of the patient, achieve reduction in horizontal laxity and to eliminate any sclera show. While the surgical approach for the upper eyelid Blepharoplasty is an open approach, a lower eyelid surgery may be performed by Transcutaneous, Transconjunctival or a combined approach. Mostly, Transconjunctival approach for surgery is suitable for relatively younger patients who do not need much skin rejuvenation. Risks and complications of Blepharoplasty surgery should be known to patients of India. Blepharoplasty surgery is quite a common procedure which is performed in India in all top medical institutions but despite that Blepharoplasty surgery may have its own sets of complications. Most petrifying side effect is vision compromise. If a Blepharoplasty surgery is performed in the best hospital with the best facilities then the risks are almost negligible. In India, Blepharoplasty surgery is a short procedure and if the hospital is the best for the surgery, then patient may not need more than two- three days in the hospital. In India, all the best and specialist hospitals take a Transconjunctival approach for the Blepharoplasty surgery. The incision is made inside the eyelid creases so that best cosmetic outcome is achieved in India by the Blepharoplasty surgery. 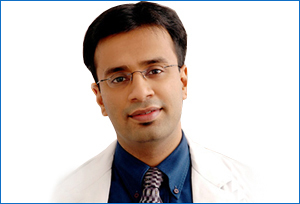 India now has the best technology and the top facilities for performing Blepharoplasty surgery. In India, some doctors also perform the Blepharoplasty surgery by incision under the lash line.